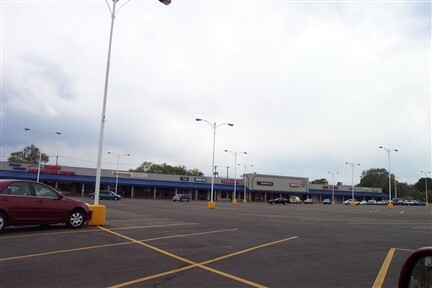 North Towne Mall was a hybrid enclosed-strip mall located at the corner of W. Riverside Blvd. and N Main St. on the north side of Rockford, Illinois. It opened in 1956 and at some point either a portion or the entire center was enclosed. Its main anchor was the Rockford-based department store Charles V. Weise and Company, which most people called Weise’s (pronounced why-zees). In 1982 Weise’s was bought out by Peoria-based Bergner’s and all the stores changed hands, including this one. During the late 1980s and 1990s, when I was growing up just 30 minutes away from North Towne Mall. The small enclosed portion of North Towne at that point consisted of a portion that connected Bergner’s Department Store to the Kerasotes Theatres, and was parallel to W. Riverside Blvd. The rest of the center from the theatres all the way around the corner parallelling Main St. was a strip mall. Bergner’s closed in the early 1990s and moved across the river to Machesney Park Mall (which has seen better days itself). 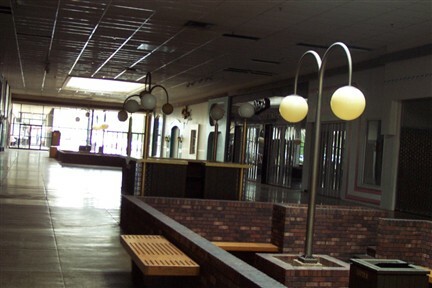 The empty Bergner’s was replaced during the late 1990s with local Gustafson’s Furniture, who did not renovate any of the inside space of the store whatsoever. It’s still open, and going in there is like going into a time warp. Imagine lots of dark woods, mirrors, various puke-colored carpeting, etc. I think they even left some of the fixtures up, and I know on some of the doors it still says “Employees only – P.A. Bergner & Co.” So that’s kind of cool. Anyway, growing up 30 minutes away, we never once went to this mall as far as I can remember. 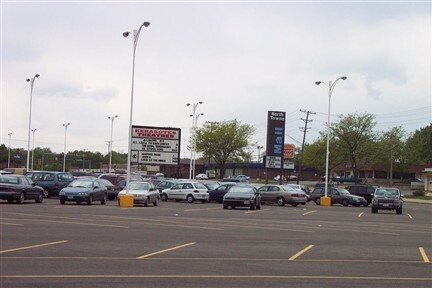 We always went to either Machesney Park Mall across the river (which was very successful during the 1980s) or the much larger and ever-dominant two level CherryVale Mall on the southeast edge of town. I suppose that says something about what this mall had to offer. It never drew from a expansive radius and was more of a neighborhood center throughout its life. However, I do remember the TV commercials for North Towne Mall during the 80s and early 90s. 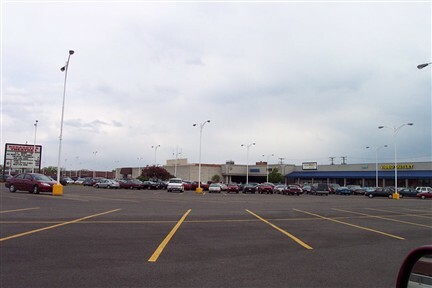 The commercials marketed both North Towne and Colonial Village Mall, another small enclosed neighborhood mall in Rockford, in the same 30-second spot. We had occasionally gone to Colonial Village Mall to shop when I was little, because it had two anchors and more “destination” specialty shops, most of which were local. Colonial Village Mall was also decidedly more upmarket. Since I saw the TV commercials for North Towne Mall and knew this mall was only half an hour away, I always wanted to see what it was like. We’d driven by a few times when I was a kid, but it wasn’t until I got my own car that I was able to go inside. When I finally went, it was almost too late. 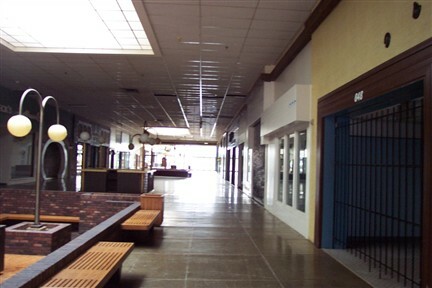 Gustafson’s, the local furniture store that had taken over the Bergner’s space, had spilled out into part of the enclosed portion of the mall. Alarmingly, not only were there no open stores in the enclosed portion, but there wasn’t a single one open. At the end with the theatres, there was this strange basement court that again contained no retail activity whatsoever. The theatres were accessible at the top of the basement court and were running discount movies. Past the theatres, the center regained consciousness as a somewhat successful strip mall that continued down a ways and then turned the corner to face N. Main St. Considering none of the stores in the enclosed portion of the mall were open and the lights were off, it’s pretty much a no-brainer that it wouldn’t last long. But why did North Towne fail? Well, the simple answer is that it didn’t. It is still, and has always been successful as a decently large strip mall for the north Rockford area. 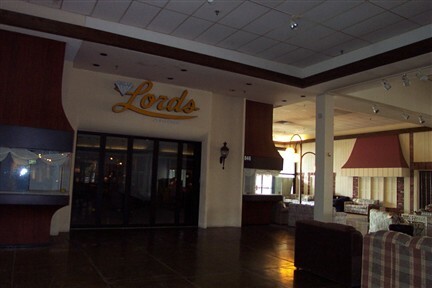 However, the enclosed portion did fail, due mostly to the fact that it was not large enough to sustain itself as well as competition from the larger malls. In Summer 2003 the small enclosed portion was demolished and, in line stores were put in its place. So now North Towne Mall is, in its entirety, a strip mall. 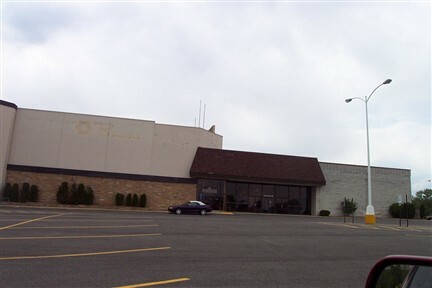 However, both the Kerasotes Theatres and Gustafson’s Furniture remain open, as well as the stores in the strip portion. I took the pictures below in May 2002. Notice the poor lighting inside the enclosed part of the mall because all of the lights were off. It was actually much darker than these pictures suggest, because the camera compensated for the lack of light and exaggerated the light that was there from the exits and skylights. If anyone knows anything further about the history of this mall, feel free to leave comments or email me – it would be greatly appreciated. Also, check out the mall’s rather rudimentary website. I was just looking for the phone number of the movie theathers at North Towne and came across your site. I remember (years ago in 91 when I was in high school) going to the movies and shopping at the Bergner’s store. It was sad back then. I saw a movie just this past Sunday – $1.50 for all movies after 6. Can’t beat it. Don’t know how they keep the doors open though. Alrighty, kids. As a native westsider, I can probably comment even more authoritatively on North Towne than I did on Machesney. I don’t know how you were able to get into the enclosed portion of the mall. They closed it off around ’96-’97, and I always remember it being locked from that point forward until they tore it down. But what I’ll always remember about North Towne was it’s arcade. Not just the one outside in the strip mall portion, but the original one downstairs next to the movie theater. I could ride my bike to the mall from Court Street and spend an entire Saturday there like it was nothing. They kaboshed that sometime in the early ’90s when they closed all the downstairs stores and redeveloped the whole thing to expand the movie theaters. It originally only had a couple screens, but that was expanded into the six they now have there. You used to be able to walk to the movie theater from Bergner’s downstairs entrance. I remember there being a candy store on the far west end of the downstairs part of the mall, underneath where the sports bar now is. Oh, and the reason Colonial Village and North Towne were advertised together was because they were both opened and operated by the same developer. I believe the same company maintained ownership of both malls until a few years ago. Unsure whether or not they maintain ownership of North Towne, but Colonial Village was sold in 2006 to Heartland Church who completely converted it into a mega house of worship. The strip mall portion and movie theater remain open, but the interior of CV is only available to church goers I guess. 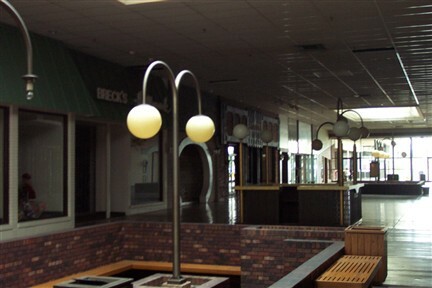 When I visited, Gustafson’s Furniture had spilled into the enclosed portion of the mall directly in front of the store with merchandise, and the rest of the mall was actually unlocked (even at the other end entrance by the theatres) so people could get through to Gustafson’s. Also, I wasn’t aware the downstairs part near the theatres was bigger than it was when I saw it; it looked really neat and dated as it was then. And yeah, it’s really sad about Colonial Village – unlike North Towne, CV was actually a stop we’d make during a day of shopping in Rockford (after State Street, Cherryvale, etc.) because it had the Bergner’s and Penney’s and Cherryvale did not (now Cherryvale has both). I also remember the dorky locally-produced commercials for “Colonial Village & North Towne Malls” that ran in the late 80s on Rockford TV, in the vein of Swansons Vacuum, B. Sanfield, New Milford Refrigeration, all the car commercials, etc. and it always made me curious about North Towne since my parents never took us there ever. I’m just glad I got to see it before they totally turned it into a strip mall. Thanks for the info! Oh, one other memory that slipped my mind the other day that made North Towne cool when I was a kid…..Stride Rite shoes. I think they had one at Colonial, too. But we only shopped at the one at North Towne because it was closer to our house. They used to sell the same pairs of Kanga Roos that Walter Payton wore when he was playing for the Bears. You used to be able to buy them for about $20 (this was the early-to-mid eighties, mind you), and you got a glossy photo w/ his autograph lasered on it. They also used to sell Pro Keds, which were popular among break dancers/b-boys. Does anyone remember a Santa Claus parachuting in to the mall and dying? Also does anyone remember a guy being buried alive there as a daredevil stunt and his name and how long he was buried? I rememember when this happened, our house was just across the river in Loves Park, some others jumped out of the plane first, I think they were elves, as they floated down so we could see Santa jump out of the ariplane and go straight down. I always wondered if anyone else rememebered it, not sure what year it was but I was maybe 8 so it was the early 1960’s. @Dave, I remember this happened at North Towne Mall…but I remember it as being one of the elves whose parachute did not open and he landed in someones back yard. Santa made it down fine and a lot of the children did not realize anything bad had happened. His name was “Suicide Hayes” and you could look down a tube and see him down there at certain times. I don’t recall how long he stayed there. Great memories!! I am an oldtimer. Graduated from Boylan high in 1977. When I was in high school this was a thriving mall. The larger malls were just starting to become the vogue. Cherryvale was built, I think, in my Freshman year but was considered way too far out in the sticks for west siders. Students from Boylan flocked to North Towne. I learned my first lesson about stealing when, on a dare, I tried to take a package of sweet tarts from the drug store there. John, i remember the Santa Claus thing but i could not swear it was this mall. I do remember the story though. Anyway, was just absently surfing when i came across this story, and the pictures truly brought back a lot of memories I have been out of Rockford for about 16 years now), so thanks. Does this mall, or now strip center, still have the Godfather’s Pizza? The place was a dump, but I used to love that pizza…it had all the ingredients stuffed under the cheese. I also remember a Pet World store in the mall owner by this guy named Kurt…who bought it from the original owner Ed Duran, who still operates several Pet World Warehouse stores in Wisconsin. Pet World in Rockford was always hanging on by a thread. Did it make it or did it disappear? Just curious. By the way Jonah N, I answered your Grand Avenue questions yesterday…see the post under Grand Avenue. 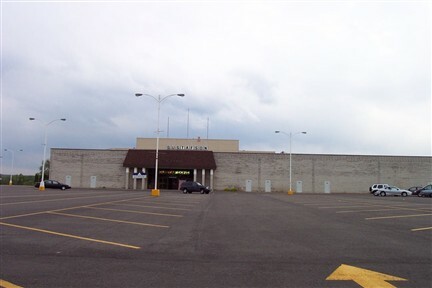 I came across this website looking for history on Cherryvale mall.Does anyone remember the radio station that used to be there back in the 70’s with the yellow brick road?Would love to chat with someone who has childhood memories of that mall like I do! @Ron Hall, Johnathan Brandmeier who later worked on WLUP in Chicago was one of the DJ’s at WYBR. He gained some celebrity at the LOOP with Kevin Mathews, Steve Dahl and Gary Meier in the late 80’s and early/mid 90’s. I’m another old-timer (West, ’77). I grew up near the old Essex Wire plant. I recall when this mall was doing quite well (before Cherryvale). Every Christmas Santa would see kids in a shed in the parking lot. Every summer part of the parking lot was closed and a carnival was set up. I was always afraid of the double ferris wheel. I want to say the enclosed part of the mail was done in the mid-70s, but I’m not really sure. I remember the guy living in the hole in the parking lot near Santa’s hut. I think the complex was beginning to suffer because Cherryvale opened and they resorted to stunts. Anyway, it’s a shame to see the place in its present state. It used to be really alive…. Regarding the radio station…. I vaguely remember that as mainly a curiosity. I listened to WROK (remember top 40?) or, on FM, WYFE (I think). My big memory of Cherry Vale was that weird conveyor belt. Some gimmick. The radio station was WYBR..Yellow Brick Road..and played crappy music. Tha arcade in the lower level of North Towne was AWESOME. I spent MANY quarters down there playing Zaxxon. I remember North Towne mostly from the late 60s. At the west end was a Kroger grocery store (before Kroger bought the Hilander stores). Montgomery Wards had a catalog-order pick-up shop. There were also a Coast to Coast hardware store, Key Rexall Drugs, George Brother’s men’s store, a Thom McAn’s shoe store (and maybe Schiff‘s, but that might have been at Colonial Village). The shoe stores were staffed by people who would sit on a little stool, measure your foot, and then bring out boxes of shoes they would slip on your foot to try (unlike today’s self-service shoe stores). In the summer of 1968 or ‘69, “Suicide Hayes” was buried in a concrete vault, which was buried about 15 feet underground in the parking lot, for a month. An excavator sat nearby, in case a quick rescue became necessary. There was a small channel leading from the vault up to ground level through which food could be passed down to him. You could view him by looking down the channel or by watching him on a closed-circuit TV monitor. The following winter, Suicide Hayes returned for a stunt involving living in a car parked on the ice of the Rock River, hoping it wouldn’t fall through. In the summer of 1969, a trained dolphin act came to North Towne. It performed in a small tank set up in the parking lot. Every summer, we went to the carnival held in the parking lot. The double-decker Ferris wheel was amazing to ride! Every Christmas, we visited Santa in his little shed in the parking lot. He handed out the same bland-tasting, decorated sugar cookies every year. I don’t remember a parachuting Santa. 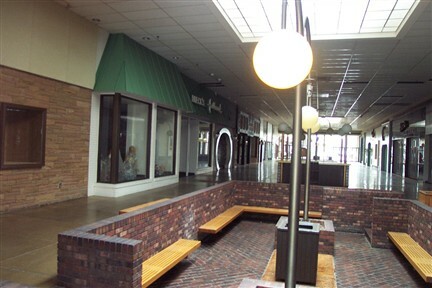 During the 1980s, the strip-mall portion of North Towne was enclosed with a roof and glass. There were several entry doors the length of that portion, and each of the individual stores had wide-open entrances, just as if they were inside an indoor mall. I remember Fashion Bug and JoAnn Fabrics, but not much else from the ‘80s. The glass enclosure was eventually removed, and the stores once again had regular, weatherproof entrances. Speaking of entrances, Weise’s had an “air door,” instead of glass doors at its main entrance. Heated air blew down from the top of the entrance and re-circulated through a grill in the floor that you walked across. Even in winter, you walked right through the wide-open air door. 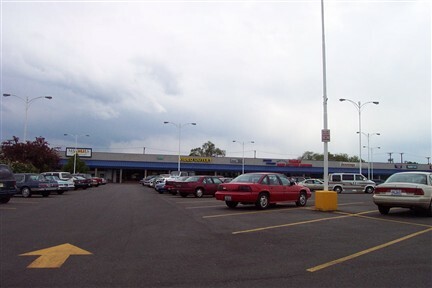 Weise/Bergners moved to Machesney Mall in 1996. Bergners owns its store building there, which is why it remains open despite the fact that the mall is closed (except for Penney’s, which also owns its building). He was in the “tomb” for 30 days…….Oct 1 1966 to Nov 1 1966. He was going for the world record but because the merchants decided not to pay him his fees he came up out of the “tomb” 99 days short of the record. 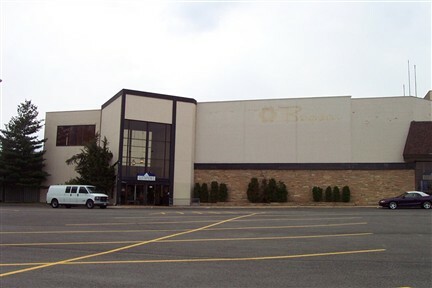 I remember when North Towne Mall showed first run movies and the entrance was just right off from the the mall, not where it is now. I miss the way it use to look as well as Colonial Village. I don’t like that the stores that were once there are no longer there anymore. I remember as a kid my mom took me Tom Harmer Sports, I believe it was that name, for my birthday and got a Chicago Bears football helmet. Tom Harmer was located where Subway now is at North Towne. I also remember back in the 80’s it had a Godfather’s Pizza, now for sometime there is a restaurant called Swedish Pancake House. I visited Gustafson’s for the first time today. I am not native to the Rockford area, and had to move out here because of my job. Wandering through this store, my husband remarked, “This looks like it was an old department store, circa the 1960’s.” After reading the information on this website, I understand that it was, but there was something more to it than that. As we walked through the store, I felt alarmingly uncomfortable. It was as if there was something very derelict, empty, and dare I say, perverse about the building. I really couldn’t put my finger on it, but it seemed as if the dull lighting, the shady-looking side rooms (that used to function as dressing rooms), and the overall atmosphere in the basement gave the whole place an abandoned, depressed feeling – even though it is stuffed full of mediocre furniture. It seemed as if the building itself mocked the passage of time. I really can’t explain it, something just felt void and wrong about the place. Has anyone had this feeling, or is it just me? I remember the Santa with the failing parachute, I also remember the little kids thinking there would be no Christmas and the next day the news came out that it was Santa’s helper and not Santa himself that had died. What is the name of the computer store there now. It was in the 1960s. My parents bundled us up…I think it was the Saturday after Thanksgiving. Santa’s going to parachute into the Mall parking lot. What an event. They had a radio personality on the microphone for us all. We had a countdown I believe and then it was reported that Santa’s plane was circling overhead. And he was going to jump. We were told to start singing…”You better watch out. You better not cry. You better not pout I’m telling you why. Does anyone remember an ice cream parlour at North Towne Mall? It was a rather large restaurant. What was the name of it? This was probably in the 80’s. Help! I think there was an ice cream parlor at North Towne called “The Last Straw.” I know for sure there was also a Last Straw across the street from Colonial Village Mall in the 1970s. I do remember Santa Claus Falling to his Death, it was in the late 60s, me and my Brother went with our Parents every holiday season to get our pictures taken with Santa at North Towne Mall , in Santas Red house , I think i will always be traumatized by that incident! Everyone was outside in the parking lot waiting for Santa to arrive , then the radio dj said over the pa system , everyone look to the sky Santa Claus is on his way ,so we counted down and sang Santa Claus is coming to town. Then Me and my brother saw a small Red dot in the sky, then Red and Green Smoke, Closer and closer it got to us , me and my brother were so excited , another Christmas more toys ! But just then when we thought he would soon land and be here to listen to me and my brothers wish list ! The Dj said Loudly and in a Frighting Voice : Parents Please cover your Childerns Eyes and Please Leave the Area , then about that time my Dad and Mom covered me and my Brothers eyes and moved us Swiftly to the car and went home ! I was totally Confused , for this is not how we do this , I thought to myself , me and my brother cried all the way home, thinking that if santa died we will not recieve any gifts Christmas morn . But some how i was wrong , the next day my mother and father took me and my Brother back to north towne to see Santa for a picture and to tell him what we wanted for Chritmas . I didn’t understand the whole Santa’s failing Parachute, falling to his death ordeal , until i got older and my parents explained everything to me. I only was six or seven years old at the time ! And your right , they said it was Santas Helper that Died not the real Santa Claus . WOW Nancy K awesome memory! I remember the dolphin and how sad I felt when i saw it because it’s skin was peeling off. They were trying to bill it as Flipper? I remember looking down the long tube tube at Suicide Hayes when he was buried in the parking lot. He gave up well before his goal because he “got tired of the drunks dropping bottles” down the air tube. Too bad about Kerasotes closing the last of the cheap theaters. I’ll miss the dollar movies. Now if we can just get MP Mall torn down and put the barrel and the $5 airplane rides back in. Who wants to drive the grader? Rick J from Loves Park. Resturant in lower level…21 Baker Street???? I worked at The Last Straw & used to run around in that cute little mini bloomer outfit while honking the horn around the tables during the “Fire Wagon.” Remember Silver Dollar Jeans were right down the stairs almost smack dead on & they were one of the first Levi stores in Rockford. They had that weird hippy candle store adjacent to the jean store. I used to buy all my clothes at Threads by Chas. . . Oh, how funny!!!!! WOW… NorthTowne… we spent so much time there…… Last Straw, 21 Baker St…. (winning the Olivia Newton John look a-like contest was fun), hanging out with friends, being on Wiese’s Teen Board…. such great memories….. Thanks for sharing your recollections everyone! The Santa Claus incident! I remember Mom taking us seven kids to see it. Dad couldn’t stand crowds, so he stayed home just across the Rock River to watch it with his binoculars. Santa came out of the plane, and I remember the red smoke bomb tied to him as he spiralled down, down, down…I didn’t realize what happened at the time, just remember some screaming. Since Santa had flying reindeer and could go up and down chimneys, I just figured the laws of gravity didn’t pertain to him, and he didn’t need a chute. Mom grabbed up all of us and said now that we saw “Santa’s Helper”, we were going to Meadow Mart mall in Loves Park to see Santa, but instead we went home. I distinctly remember Dad come boiling out of the house when he saw the car turning into the driveway, binoculars still hanging from his neck, asking Mom “How low was he when he finally opened his…” only to stop in mid sentence when he saw Mom’s face. I always wondered if the famous episode of “WKRP in Cincinnati” with the ill conceived Thanksgiving publicity stunt of turkeys pushed out of the helicopter to their deaths might have been inspired by this real life macabre holiday story. I am a native of Rockford (moved in 78) and loved growing up their ! North towne was a big deal in the late 60’s and early 70’s. I worked at the shoe store (Nobil’s) and at Owens. I sooooo remember the Santa in ’67 didn’t understand what happened until years later. I have always wondered why Machesney Park Mall went down so quickly. For us on the west side, as I am sure for those in Loves Park, it was much easier to get to than cherryvale. Seems I remember a girl who blew glass in North Town towards the inside entrance to Weise’s. I too grew up with North Towne and Colonial Village and miss them both very much. I can even remember shopping downtown at Penny’s when I was quite young. I have been away from Rockford for about twenty years, but do get back occasionally and am completely caught off guard every time that these places, as well as Machesney Park Mall, The Giant Store, Union Hall, Ben Franklin, are all history now. Even Cherryvale is not the same anymore, especially without Marshall Field’s. I don’t know if it is age or memories, but shopping is not the same anymore and is definately not as good as it once was. Yea it was a sad day for the people who watched the pilot who is actually named “Rick’ dropped the Santa. Now I was not born yet when this happened, but my family owned an airplane at Cottonwood airport and back then the flying community was small as it is today and everyone when everyone. The pilot never did get over this, but he did manage to except that his friend is gone. Rick is happily married to the widow of the Santa today. Where I remember the air ‘doors’ was at the eagle grocery store down the street from North Towne. It’s actually kind of funny how in the early to mid 80s a shopping trip to Rockford would often would include going both to Colonial Village and North Towne. (to me the only appeal to MP was the Prange Way if I didn’t want to go all the way to Cherry Vale). Even back then the store was rather plain a decrepit, and I was always scared of the elevator, which seemed to take forever and once at the top it seemed like it would drop a foot and nearly throw you out the doors. And even for being a larger store, it never seemed to have the selection of the Bergner-Weise store in Beloit, and Colonial Village seemed to have even more, but the store at North Towne seemed to have one major appeal, and that was good food in the restaurant at very decent prices, and in those days when credit cards weren’t a dime a dozen, at least for someone right around 20 years old, being able to pay for lunch with the store’s charge plate made quite a difference in what one could do on an outing. I was a maint. tech at NT in the mid to late 90’s,and my family owned the travel agency that was located directly above the theaters.I remember this mall from the early 80 when I was a child,and I loved the Christmas scenes that were on display every year. also enjoyed the rock and mineral shows,and baseball card shows.So sad how RFD is dying. 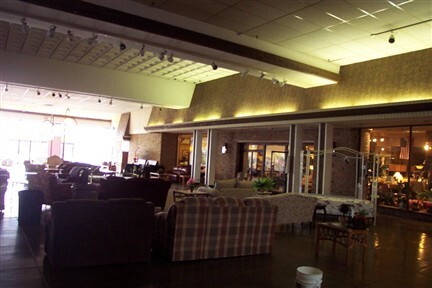 @Raymond, “Cherokee Nation”,as well as offices for state reps towards what became the Swedish Pancake place.Hungry Hobo was great,and I CANNOT believe no one has mentioned The Riverboat,and Zltzies…. North Towne has so many memories for me. As a kid, I remember the train rides at Christmas, the traveling mock-up of the White House – with lights and a working miniature TV, Riding on a camel, the rock polishers, a Birthday Party at the Last Straw (remember the chasing lights & the siren? ), and the arcade Tilt – when it was still downstairs (think of Flynn’s arcade in the movie TRON). During my high school years, I worked at Radio Shack (1991) & later at Bergner’s (1993/1994). Remember the huge service desk at Bergner’s? They had a full Post Office, including P.O. Boxes I believe, Ticket Master, a real gift wrapping counter with a much larger selection of wrapping paper, ribbons, bows, boxes, etc… than they do now, and even a separate area for a travel agent! We shopped at Tom Harmer, picked up the latest magazine at Book World, caught a movie downstairs, & dropped our film off at Livingston Camera/Camera Craft. We ate at Hungry Hobo (also located at 5-points, near Colonial Village), Aunt Mary’s, Godfathers Pizza, and had dessert at Baskin Robbins. Whitlock Automotive (adjacent to Radio Shack) was where we’d stop, if we needed something for the car. There was even a barbershop at the far west-end of the mall, inside the ‘other’ enclosed portion of the mall. I believe there was a bank on the west-end as well. Growing-up on the north-west side of the town, North Towne Mall was a significant part of my youth. I believe Freed was the last owner, for both North Towne & Colonial Village Malls. They sold them both in the mid to late 90’s, if I remember correctly. Okay ladies and gentlemen. I am a child of the 1990s, and an avid baseball fan. 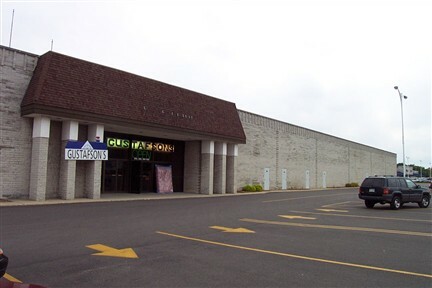 In the mid to possibly late 1990’s I remember North Towne had a store that had mini putt, a batting cage, hosted birthday parties and maybe had a golf simulator. I also remember if you had your birthday party there they would put your picture up on a display case. After this place closed the mini putt holes were used at Rev’d Up in Machesney Park. Can anyone please tell me the name of this shop. I will be greatly appreciative if anyone can tell me the name of this place. I know it was not Tom Harmer. @Tom Seaworth, it was called “Inside Sports” and was awesome. Do you know what year that was ? Rexall Drug Store, Grant’s Depoartment Store, Fannie Farmer Candies, Pro Team Corner, Baskin Robbins, Circus Treats, Last Straw….Anyone remember the marathon dance contest in the 70’s? Roma Bakery, Ditto’s, the restaurant inside Weise’s. Regarding Roma Bakery. Was that up at the west end of the mall in the 70’s? Was it related to the Roma Bakery down on Marchiano Dr? Yes, it was at the west end. I’m prety sure it is related to the Roma Bakery that was and still is downtown. @John, Thank you for your post. I think I will just call Roma and ask them if that was them at North Town. Gustafson is now fabulous inside, 109,000 sq. Ft of great furniture n accessories. You need to revise your comments. I remember going to Northtown for some radio promotion where they filled the conversation pits with packing peanuts and had the kids dive for prizes. When I was older we would go to the movies, always hitting the basement candy store first. The first movie I saw there was An American Hero. Later I worked at the Colonial Village movie theater and dated a kid who worked at the Northtown basement arcade. I spent a few weekends down there watching him make change and humming, “I’ve got my mind set on you.” This would have been in 87/88. Thanks for the pictures and the memories. I was also present during the Santa debacle. 1967 I believe. I was a kid and was outside playing about 1 block from where he landed – I remember seeing the depression in the back yard where he hit. Lots of good childhood memories of this shopping center (wasn’t a mall when I was a kid) – One of my favorites was the Rexall Drug Store Model context each summer .